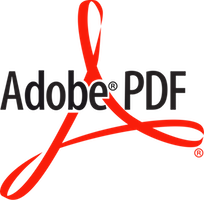 This layer enables support for PDF with the pdf-tools package. Searching and slicing with occur. Show document headings in outline buffer. Linux is the only operating system officially supported, but it’s possible to use pdf-tools on OS X as well, and possibly on other Unix flavors. You’ll need to install a few libraries. Check the instructions on pdf-tools page. Note that compiling from source might not be necessary, as the documentation states. If everything goes right, the compilation won’t display any error and you will be able to see PDFView (instead of DocView) on the spaceline after opening a pdf file. Use SPC m . to activate the pdf-tools transient state. The key bindings that the transient displays can be also accessed using SPC m. The navigation key bindings can be used directly. You’ll probably want to use pdf-view-set-slice-from-bounding-box (bound to SPC m s b) This command trims the blank parts of the lateral margins, making the useful portion larger.